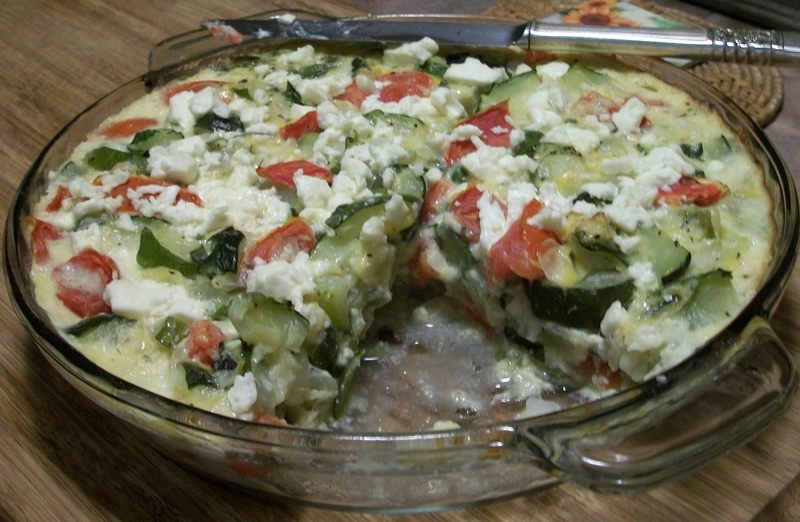 There are no words to describe how delicious this Zucchini Pie is! Saute zucchini & onion in large skillet until tender (& water cooked out)- ~10 minutes. Shortcut: I steam the zucchini and onion together (eliminating the olive oil and saute pan!). Oh yes ma’am it is awesome! I wonder how this would hold up with a flax egg! I will definitely be trying it. Susan, thank you for this recipe. It looks wonderfully tasty and healthy! I hope you try it and let me know! We love it.